Bad Blood by Bad Drip is a fantastically fruity blueberry and pomegranate vape juice with a creative vanilla twist. 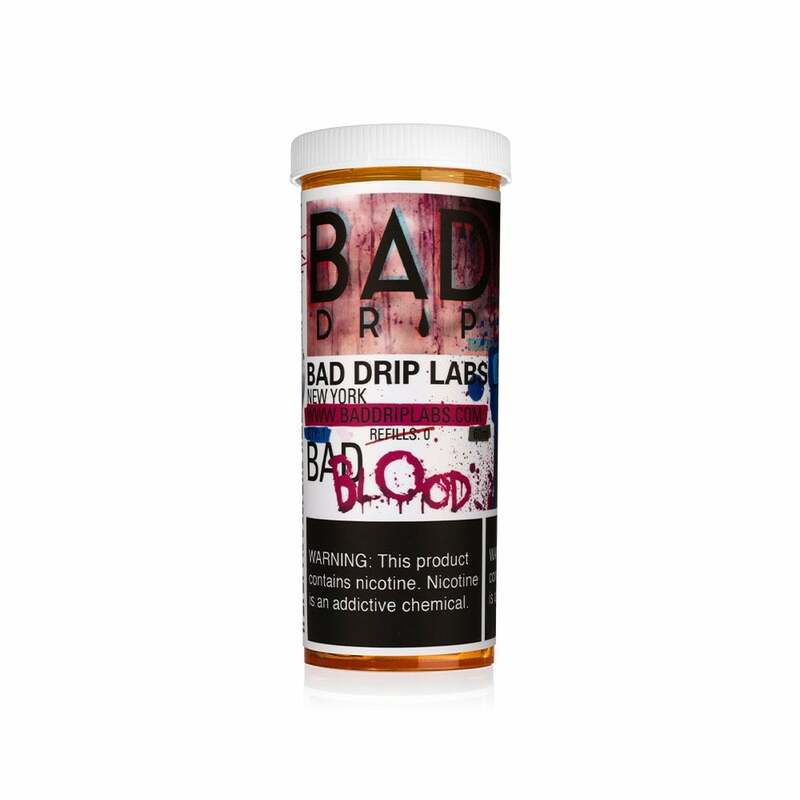 Bad Drip's Bad Blood is expertly blended to let each flavor shine through while still maintaining a cohesive flavor: sweet blueberry and tart pomegranate compliment each other, with subtle vanilla to bring it all together. Bad Blood is perfect for any fruit vape fanatics. The packaging is as awesome as the juice is. Love this stuff! It has a great amount of berry flavor & a mildly-smooth vanilla taste on the exhale. It is a very good quality ejuice, so it hits nicely off my subohm tank. This juice seems "weak" and doesn't have much flavor. This stuff tastes fantastic! I think I like God Nectar a little more but that’s my all time favorite.